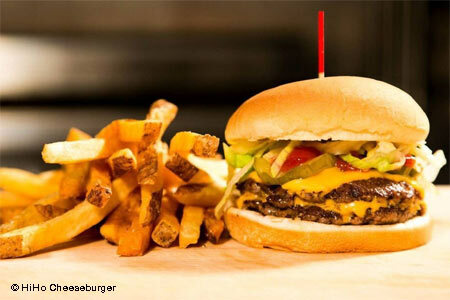 Santa Monica spot turning out high-end burgers, shakes and homemade pie. : This right-off-the-beach eatery offers high-end burgers made with 100-percent grass-fed New Zealand Wagyu beef. Choose from a double cheeseburger special with hand-cut fries, and classic burgers or vegan house-made patties alongside iceberg salad, Straus vanilla or chocolate shakes, homemade pie (banana cream or Key lime), and beer and wine.